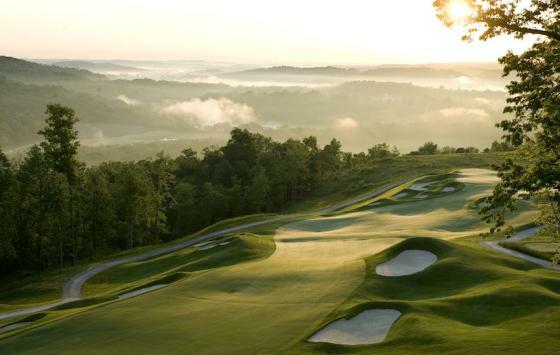 Serious golfers in the Midwest and nationwide seeking a historic golf adventure and experience the only golf destination in the world that features a combination of hall of fame designers Donald Ross and Pete Dye together with two historic hotels should consider French Lick Resort. Golfers can now book 2018 golf packages, which includes a variety of new offerings along with its popular mainstays like the Hall of Fame and Donald Ross Experience packages. Whether it’s a buddy trip, couples retreat, or a girls-getaway, you will find a package to suit your needs. Take your best shots on the golf course and now off the course with this ultimate experience that combines golf with the adventure of sporting clays on the new 73-acre shooting range. Located along the Lost River behind West Baden Spring Hotel, twelve stations offer a wide variety of targets and trajectories. This golf and sporting clays package includes two-nights lodging at either hotel, a day of golf on both the Donald Ross and Pete Dye courses together with a 50 target/50 shells sporting clays package on the day of arrival or departure. This package is available for groups of 12 or more. French Lick Springs Hotel – starting at $737 per person based on double occupancy West Baden Springs Hotel – starting at $797 per person based on double occupancy Single occupancy rates available on request. The package includes a one-night stay at either resort hotel, a day of unlimited golf on The Pete Dye Course, a day of unlimited golf at The Donald Ross Course, unlimited use of the driving range and practice facility, bag storage, and shuttle service. French Lick Springs Hotel – starting at $559 per person based on double occupancy; or $649 per person based on single occupancy West Baden Springs Hotel – starting at $589 per person based on double occupancy; or $709 per person based on single occupancy A $30 forecaddie fee (per person, per round) is required at The Pete Dye Course and is not included in package pricing. Forecaddie available on request at The Donald Ross Course. With over 100 years of history, The Donald Ross Course at French Lick offers the chance to experience golf the way it was meant to be played. Experience old-school links golf on a classic Ross course situated in the rolling hills of the countryside. This package includes two days of golf on The Donald Ross Course plus overnight accommodations at either resort hotel. Carts are included for all rounds, as is complimentary shuttle service to the course. French Lick Springs Hotel – starting at $334 per person based on double occupancy; or $428 per person based on single occupancy West Baden Springs Hotel – starting at $354 per person based on double occupancy; or $468 per person based on single occupancy Forecaddie available on request at The Donald Ross Course. When it comes to a high-end exclusive golf experience and some of the best golf instruction in the country, French Lick Resort is one of the leaders, and they have now combined the two creating the Pete Dye VIP Learning Experience. Serious golf aficionados will spend four-nights at either hotel, three-days of golf on the Pete Dye Course, and four-hours of private personalized instruction at the Pete Dye range with top instructors and some of the leading swing technology to improve your game. Call for pricing. For more information and to view additional golf package options, visit http://www.frenchlick.com/golf/packages or call our reservation specialists at (888) 936-9360. Founders Is The Premiere Golf Course Owner In America’s Golf Capital, Myrtle Beach, S.C.
November 7, 2017, Myrtle Beach, S.C. – Founders Group International (FGI) is inviting golfers to celebrate the holidays in the warm South Carolina weather on any of its 22 golf courses in the Myrtle Beach area. You could say they have a cornucopia of courses to test your skills as we lead into the Thanksgiving Day holiday. Myrtlewood Golf Club (read GolfBlogger’s Myrtlewood Palmetto Golf Course Review), in the heart of Myrtle Beach, is one of the most popular courses in the area because it’s in the middle of Myrtle Beach and just right for the average golfer. The Palmetto course has a traditional design that offers gentle sloping fairways with a variety of hazards, bunkers, and large, subtle undulating greens. PineHills course uses mounding and water hazards to challenge the mainstream golfer. Both courses are along the Intracoastal Waterway and surrounded by some of Myrtle Beach’s top attractions. 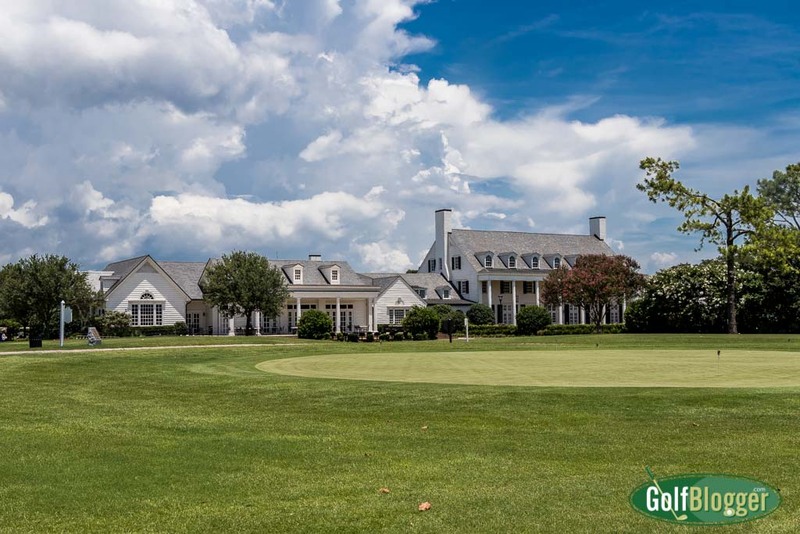 Pine Lakes Country Club (read GolfBlogger’s Pine Lakes Country Club Review), known as the Granddaddy of Myrtle Beach golf, is celebrating its 90th anniversary this year. Built upon natural dunes less than a half mile from the ocean, it features numerous freshwater lakes and rolling fairways. Designed by architect Robert White, the first president of the Professional Golfers’ Association (PGA) of America and a co-founder of the American Society of Golf Course Architects, Pine Lakes has surpassed its initial glory after a complete restoration. This year, the course brought back the traditional Scottish garb and the clam chowder for what it’s so well-known, making it a must-visit on the next Myrtle Beach golf trip. Grande Dunes Resort Club (read GolfBlogger’s Grand Dunes Resort Review) offers a challenging game of golf. Its spectacular layout, a Roger Rulewich Group design, is positioned on a high bluff creating a spectacular view of the Intracoastal Waterway. The par-four No. 9 runs right along the estuary. And, the No. 14, a downward lying par three crosses a dammed section of the Waterway, providing a beautiful background from the tee box. Named the “National Golf Course of the Year” by the National Golf Course Owners Association of America, it was also the host site of the 2014 PGA Professional National Championship. To book tee times on these, or any of FGI’s 22 courses, go to foundersgroupinternational.com. Geneva, Switzerland, Tuesday, 7 November 2017 – From 16 – 19 November the Jumeirah Golf Estates in Dubai will host the final tournament of the Rolex Series, the DP World Tour Championship, Dubai. The European Tour’s top golfers will be vying to crown their season as champion and, for those leading the Race to Dubai Rankings Presented by Rolex, win the coveted Race to Dubai title. First held in 2009 and becoming part of the innovative Rolex Series in 2017, the DP World Tour Championship is the season finale of the European Tour, of which Rolex has been a partner since 1997. Over this 20-year partnership, Rolex has cemented its place at the heart of the game in Europe, and the introduction of the Rolex Series offers players the chance to compete in a new premium tournament category on the European Tour’s International Schedule. Played on the world-renowned Earth Course at Jumeirah Golf Estates, the DP World Tour Championship is a challenging tournament, befitting the season finale. The Earth Course’s sparkling white bunkers and deep green fairways are inspired by the best courses in Europe, providing the perfect setting to crown the season’s best golfer. 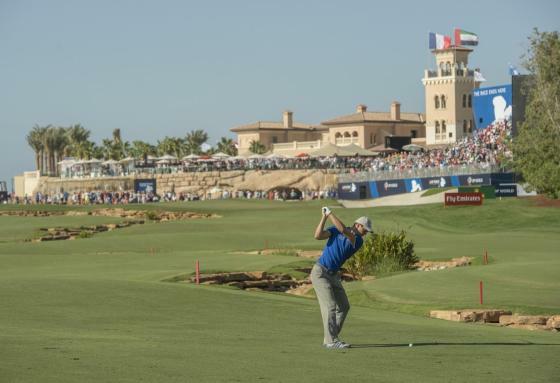 Founded in 2009, and now spanning 47 tournaments in 26 countries, the Race to Dubai is a season-long competition for European Tour golfers that demands sustained quality and excellence throughout the year. On completion of the DP World Tour Championship the leader of the Race to Dubai Rankings presented by Rolex will be crowned the 2017 winner. Rolex Testimonee Jon Rahm, ranked number five in the Official World Golf Rankings and already a Rolex Series winner, is a strong contender to win the Race to Dubai. At number four in the Race to Dubai Rankings presented by Rolex, a strong finish for the Spaniard at the DP World Tour Championship could see him join fellow Testimonees Martin Kaymer and Luke Donald as winners of the prestigious Race to Dubai. Joining the 23-year-old Fitzpatrick and 22-year-old Rahm in Dubai will be a number of remarkably talented young golfers and fellow Testimonees who belong to the Rolex New Guard. Like their iconic predecessors Arnold Palmer, Jack Nicklaus and Gary Player, also known as ‘The Big Three’, these young players are eager to leave their mark on the sport, ushering in a new generation at the top of the men’s game. Among them are Haotong Li, Thorbjørn Olesen and Thomas Pieters and who have eight European Tour wins between them. Fellow Testimonees competing in Dubai include two-time Major champion Martin Kaymer, and two-time European Tour winner Nicolas Colsaerts. Commencing in 2017, the Rolex Series is the premium tournament category on the European Tour’s International Schedule. Presently comprising eight tournaments, staged in a variety of golfing locations around the world, Rolex Series events will offer a minimum prize fund of US$7 million. The 2017 roster of Rolex Series tournaments include: the BMW PGA Championship (May 25-28); the HNA Open de France (June 29-July 2); the Dubai Duty Free Irish Open hosted by the Rory Foundation (July 6-9); the Aberdeen Asset Management Scottish Open (July 13-16); the Italian Open (October 12-15), the Turkish Airlines Open (November 2-5); the Nedbank Golf Challenge (November 9-12); and the season-ending DP World Tour Championship, Dubai (November 16-19), where the leading golfer of the Race to Dubai Rankings presented by Rolex will be crowned. PALM HARBOR, FL., November 3, 2017 – Innisbrook, a Salamander Resort has completed the renovation of the putting surface on all 18 greens on its popular North Course, one of four championship layouts at the Tampa Bay-area resort. The course officially celebrated its re-opening today with a ribbon cutting ceremony on the 18th green. The six-month renovation process began on June 5 using a no-till method of turf replacement, resulting in a firmer, more consistent playing surface. The greens were planted with TifEagle Bermuda Grass – the same exceptional putting surface the PGA TOUR professionals raved about in this year’s Valspar Championship on Innisbrook Resort’s Copperhead Course. The renovation project also included the conditioning of the bunkers, general maintenance and clearing of all storm canals, and some trimming and pruning to reduce shading and create access to the greens as originally designed by Larry Packard. The sizes of the greens were also expanded where shrinkage had occurred over the years, allowing for additional pin placements. 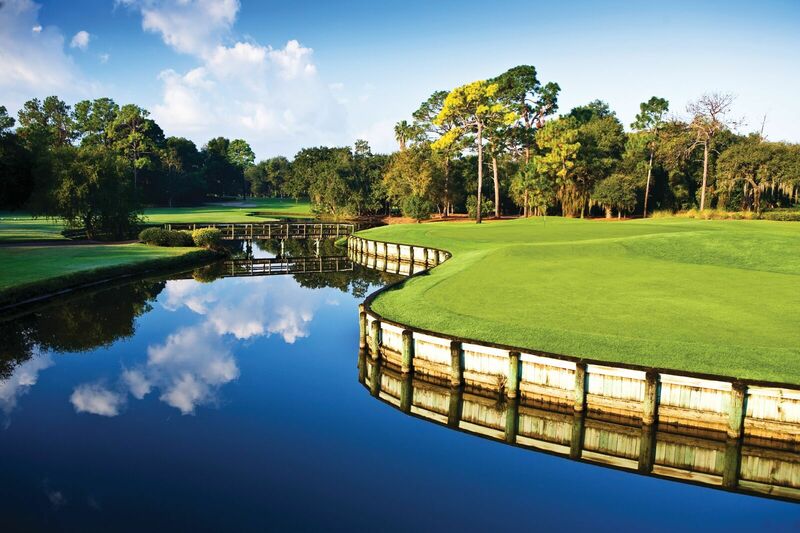 The North Course is one of four championship golf courses at Innisbrook, which is operated by Salamander Hotels & Resorts, the luxury hotel company founded by Sheila Johnson. The North Course is the second Salamander course to re-open in two days. On November 2, the Ocean Course at Hammock Beach re-opened after a 13-month restoration. Both courses are part of the Salamander Golf Collection. In addition to championship golf, the resort also features 500 spacious guest suites and rooms, four restaurants and three bars, the Innisbrook Golf Institute, 11 tennis courts, the luxury Salamander Spa with 12 treatment rooms and state-of-the-art Fitness Center, six heated swimming pool complexes, a nature preserve, and three conference halls with 100,000 square feet of indoor and outdoor meeting space. For additional information call 727.942.2000 or visit www.innisbrookgolfresort.com. Miami, FL – Rick Smith, one of golf’s leading swing coaches, has been very busy in his usual enthusiastic manner while preparing for the upcoming 2017/2018 PGA Tour season. Kicking off the fall season, long-time Smith student Brendan Steele won the PGA Tour’s 2017-2018 season-opening tournament at Silverado Resort and Spa in Napa Valley on Oct. 8. At the same time, Smith is preparing for the opening of the Rick Smith Golf Performance Center at Trump® National Doral Miami on January 1, 2018. Beginning in January, Smith, whose successful and diverse resume includes being a top instructor, course designer, TV analyst, spokesman and communicator, will concentrate on the passion that laid the foundation for his industry success – instruction. He has been ranked as high as the No. 3 teacher in the world, and has worked with the likes of Golfer of the Century – Jack Nicklaus, Phil Mickelson, Lee Janzen, Vijay Singh, David Duval, Paul Azinger, John Daly, Greg Norman, and Sang Moon Bae, among other top players in the world. Smith’s current PGA Tour students like Steele, Rocco Mediate, Latin American Tour player Tyler McCumber, as well as other players, will now have one of the best teachers and facilities in the world to call upon when they want to improve their games. During the development of the new Rick Smith Golf Performance Center at Trump® National Doral Miami, Smith will be assembling an elite team of instructors that will include key past teachers he has worked with along with a collection of top teachers that exemplify Rick’s swing philosophies he has implemented over the years. Along with world-class instructors, state of the art swing technology and video analysis, the new performance center will serve resort guests, club members and visitors. This modern facility will provide a wide range of unique, fun, and non-pressure type programming in a relaxed atmosphere. This includes private lessons, half-day, full-day and multi-day programs, PGA Professional-member programs, group clinics, on-course programs, and junior programming. Rick Smith has achieved resounding success in golf as a teacher and course designer, excelled in written and verbal communication with all audiences and is regarded as one of the PGA Tour’s best sounding boards for swing advice. He was ranked as high as No. 3 among Golf Digest’s Top 50 Teachers, a GOLF Magazine Top 100 Teacher since 1996, National Teacher of the Year, and voted No. 2 in the world at one-time by PGA Tour players. Smith is one of the most respected instruction authors and television analysts. He is currently a teaching editor for Golf Digest Magazine and previously served as an instruction writer for GOLF Magazine. In addition, his love for hosting golf instructional shows on television began in 1994 when he developed “The Rick Smith Signature Series” seen worldwide by television audiences on ESPN International, TSN (Canada), and Fox Sports Net. At the Golf Channel, Rick became part of the “Dream Team of Instructors” which consistently offered viewers instructional tips to improve their golf games. He also hosted “Inside the PGA Tour” and has been a commentator and analyst for both NBC and ESPN telecasts of golf tournaments. Beyond the golf swing, writing, and television, Rick is an accomplished golf course designer working alongside Phil Mickelson, as well as a spokesperson for some of America’s premier brands and golf products. He currently operates the Rick Smith Golf Performance Center at Trump® National Doral Miami, and Rick Smith Golf Academies at Forest Dunes in Roscommon, Mich., and Oakland University in Rochester, Mich. Visit www.RickSmith.com.